Natural light is what makes a space have more value and spatial quality than another with the same characteristics, but with little lighting. Therefore, it is necessary to begin to make contact with the possible solutions, giving a visual review of your home and trying to discover the points that hinder the path of light. The first factor that must be considered is undoubtedly the distribution. A very compartmentalized house, for example, prevents the light from being distributed evenly throughout the space. 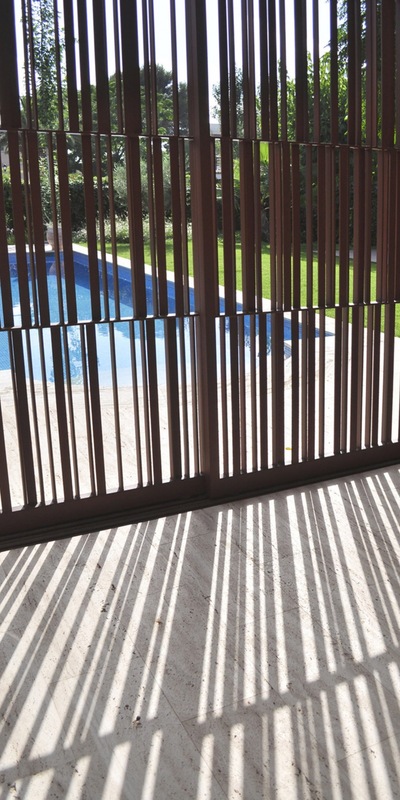 Therefore, from RARDO-Architects we always insist on the benefits of interconnected and open plants. 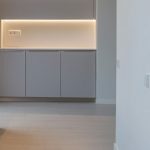 Thus, if you place the so-called “daytime” areas in the same environment, such as the kitchen, the dining room and the living room, as well as gaining use space, you will achieve that environments, previously isolated and dark, such as the kitchen, enjoy the same spatial, light and environmental conditions as the living room. 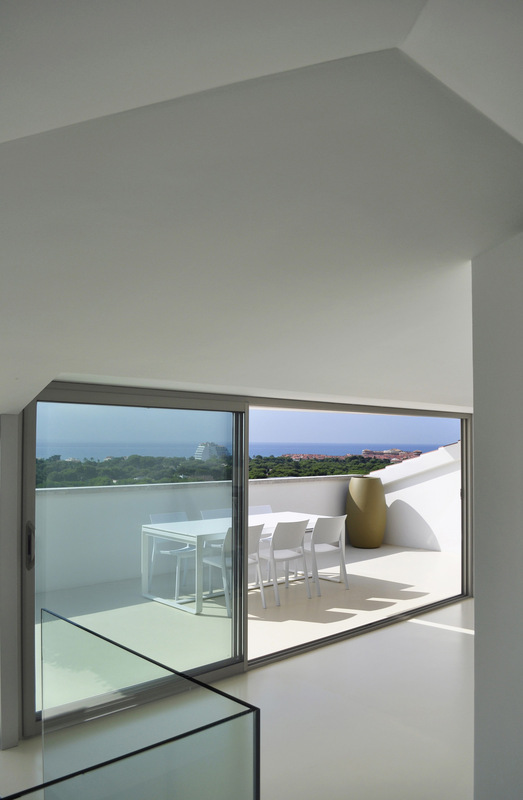 In some situations it is the only way to get natural light, as is the case of a house between dividing walls with a single front in contact with the outside. 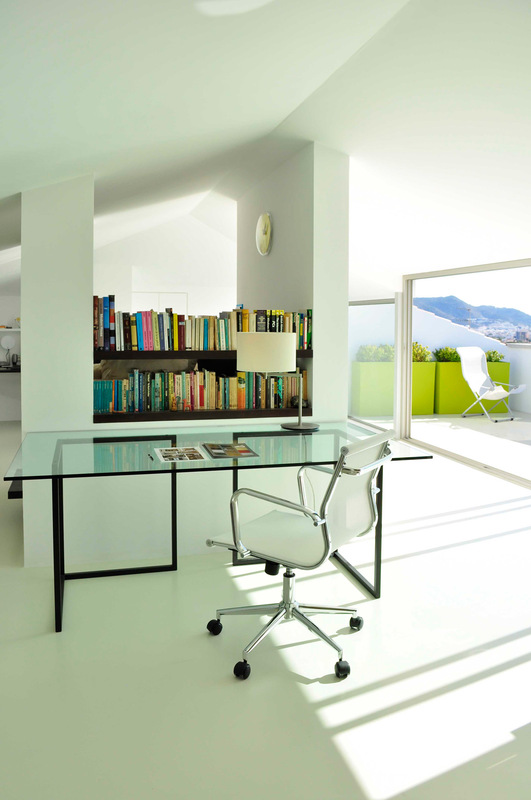 For natural light to slip on the ground, it is convenient that the envelope, ie walls, floors and ceilings, be clear. So you will also have a ‘plus’ of reflected light. The same happens, for example, with wooden structures with a lot of visual weight. If you paint beams, girders and white interspersed, the light will not be absorbed by the dark surface of these structures, but will be distributed evenly throughout the room. 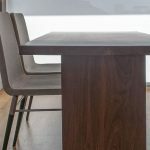 On the other hand, we must pay attention to the choice of furniture and upholstery, because if they take up a lot of space and are dark or very textured they will absorb a lot of light. Also avoid obstructing the windows with furniture. Also, those who are located in the path of light, should be small bulky, low, with legs or made with translucent materials, openwork or transparent. With a good distribution you can even take the receivers and corridors out of the darkness. On this floor, for example, the partition walls of the kitchen were thrown away. The result: a space with varied perspectives, with light from front to front, which allows filling the darkest areas of the house, such as the entrance hall. If you prefer that the communication is not so open, you can replace the walls of work by glass enclosures. This idea allows you, in addition, that the light of a facade is added to that which is captured by the back wall, which compensates for the shadows that form in deep spaces and achieve natural lighting with different light qualities, depending on the orientation and the time of day. It must be said that, from 4.5 meters in depth, depending on the height of the lintel of the window and the width of the room, the amount of natural light drops significantly. There are also other ways to bring natural light from one room to another. For example, opening interior windows or niches and designing divisions with furniture, openwork shelves or partitions that do not reach the ceiling. The design and location of the windows is part of the good architecture, according to which you have to plan your arrangement in conjunction with the interior layout. Thus, the most favorable orientation can be decided, according to the climate and the place where the house is located. To the south, for example, constant lighting is received throughout the year, which can be controlled in the summer with eaves and other external protections, being also the one that allows to gain heat from the sun. 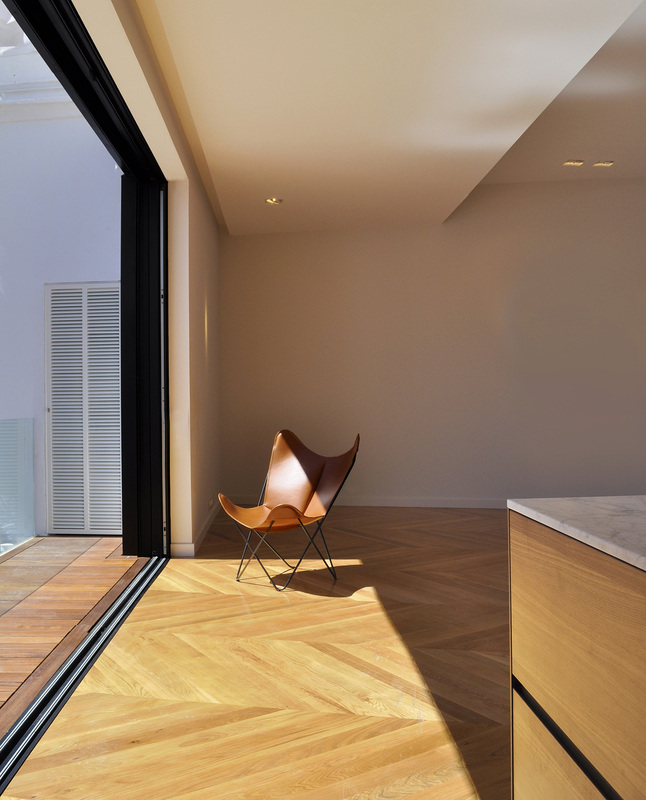 Taking into account the natural light to make an extension is essential to not penalize the lighting characteristics of the existing spaces. 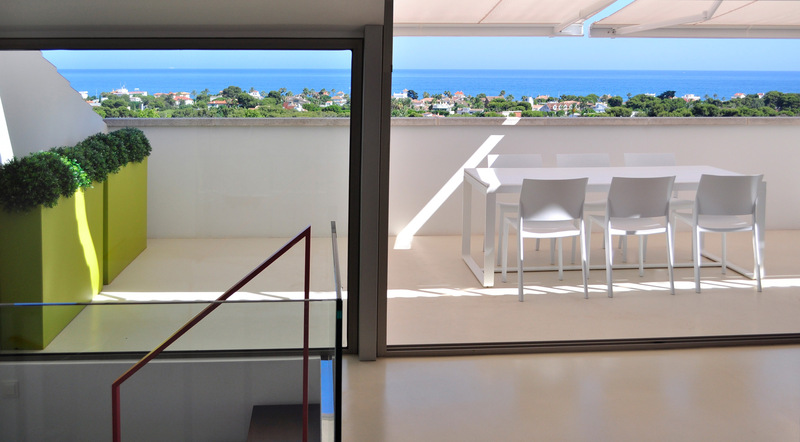 If you decide, for example, to incorporate a continuous balcony into the living space of your home, keep in mind to leave wide openings in the front wall, so that the communication is fluid. The enclosure can be considered as a attached greenhouse. Of course, it is necessary to provide adequate ventilation in the roof, as well as external protections to protect it from the sun and avoid night condensation. The location and shape of the windows inside a room influence the amount of natural light that the space receives. A vertical window, for example, is effective to increase the distance at which light is introduced. With this form, it is also possible to provide different light graduations throughout the day. If it is a single window, the light will be distributed better, if it is located in the center of the room. However, if installed at one end, you reduce glare, which can be effective in very sunny and hot climates. On the other hand, if you place the window on the outside of the wall, you will receive more light than if you install it on the inside. 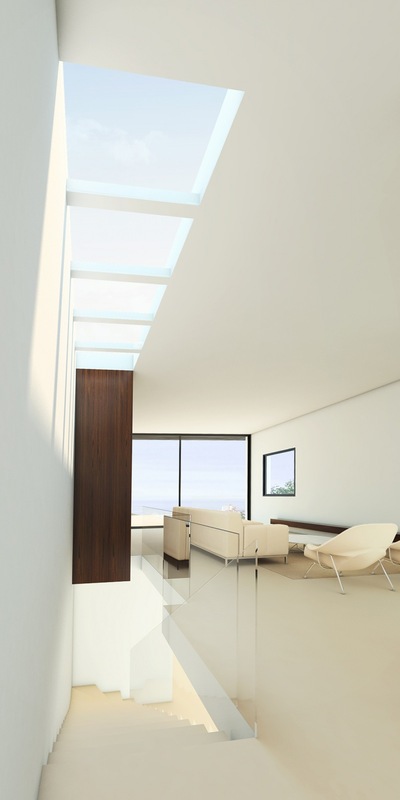 If you want to get more sky light, take the window to the ceiling, or design it with a glass top. To illuminate the floor and thus fill in the shadow cones that form below the window, lower your sill, you will also gain a more open visual angle, which will allow you, among other things, to look out from the sofa. On the other hand, when it comes to designing them, try to make the glass gain prominence in front of the profiling. It is advisable in this sense to reduce the number of leaves and avoid excessive quarters.